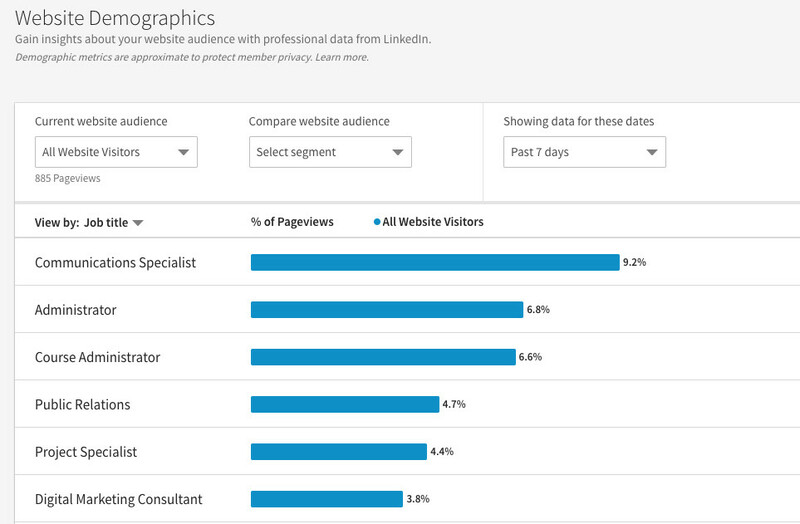 The LinkedIn Insight Tag – have you installed it on your website? If not (and you are involved in any way with B2B marketing or PR), you are denying yourself a lot of insight about LinkedIn members who visit your web property. In fact, any organisation that would like to know more about the type and kind of professional person visiting their site can benefit from the Insight Tag. 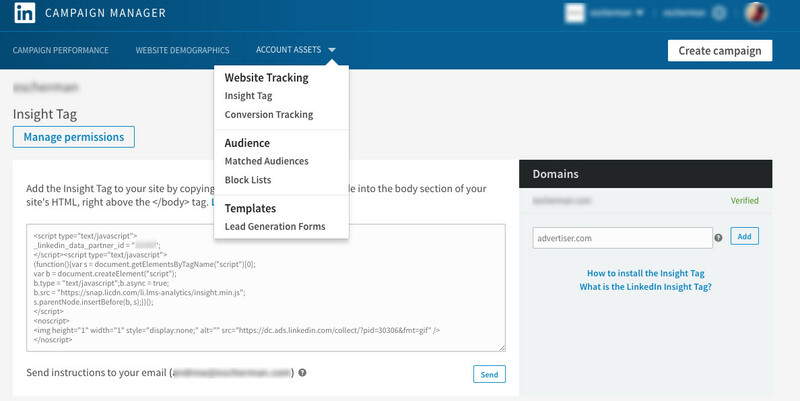 To get the Insight Tag, you first need to have created a LinkedIn Campaign Manager account (although this is intended for use with paid campaigns, you don’t need to spend any money to get the Insight Tag code). Once you have a Campaign Manager account, go to the Account Assets drop down and click Insight Tag. That will then display a screen similar to the one below. You then enter the website you intend to install the Insight Tag on. Once you have the Insight Tag installed and LinkedIn has verified it, you are in business. LinkedIn will then begin detecting any and all visits from LinkedIn members to your site (and they can be visiting from any channel, not just LinkedIn ). Once LinkedIn has detected at least 300 unique users, it will then begin sharing with you details of these visitors – job title, who they work for, location, company size, etc. You can then fine tune which areas of the site you want to get insight on for your visitors. For example, there may be a specific page that you want to get this information for – or group of pages. 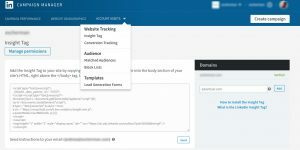 LinkedIn allows you to define which areas you want the insight on – these “Audiences” can then also be used for paid retargeting campaigns on LinkedIn. But just getting a handle on the type and kind of person visiting the site or specific pages is very helpful irrespective of retargeting. Google Analytics can tell you a lot, but Google isn’t able to tell you the job titles of visitors (it can sort of tell you the companies some of your visitors work for but this is inferred based on the network domain rather than pulled directly from information LinkedIn holds on the user). In my experience, awareness of the Insights Tag seems to be low, let alone install levels. 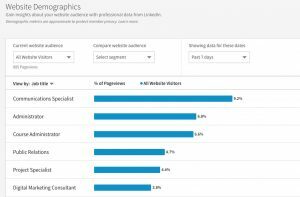 I’ve helped a number of organisations over the last 12 months to use the LinkedIn Insight tag data to develop better content marketing and PR campaigns. If you are a B2B business, do yourself a favour and install the LinkedIn Insight tag today. Otherwise, you are denying yourself access to data about your visitors that you won’t get from Google Analytics. Let me know what you think (or your experiences with the LinkedIn Insight tag) in the comments below.